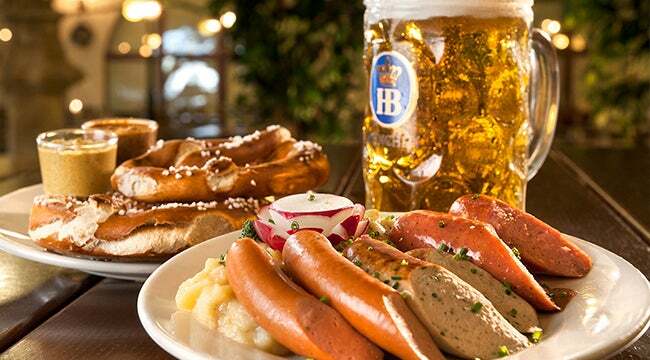 Germans only love sausage and beer. False! While we are famous for this delicious duo, there is another member of the food chain that gets our taste buds in a tizzy. Known as Spargel, here are some frequently asked questions about what we also affectionately refer to as white gold. Painstaking efforts are made to keep asparagus covered because it discolors under the sun’s rays. Dirt is packed around the spears as they grow (very quickly we might add...up to several inches a day!) and they are covered by a tarp or other plastic sheeting to block the light and keep in the heat. Any spears that do catch a glimpse of the sun start to turn a shade of purple and are considered unworthy. Does it taste the same as green asparagus? No! White asparagus is softer and stringier than its green counterpart, and offers a much more delicate flavor. When is the best time to enjoy white asparagus? The annual harvesting of this beloved vegetable begins in April and ends June 24th. Is white asparagus only celebrated at the dinner table? Absolutely not. 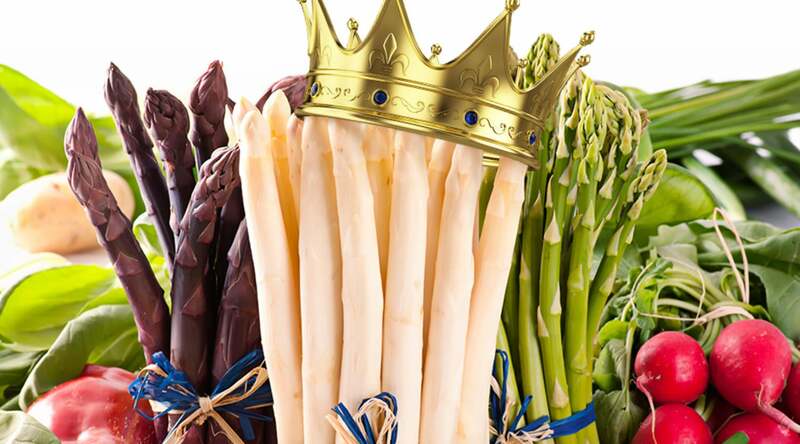 We pay homage to our king of vegetables through white asparagus festivals, asparagus peeling contests, and crowning of asparagus queens. Some people even mash them up and distill the liquid into Schnapps! 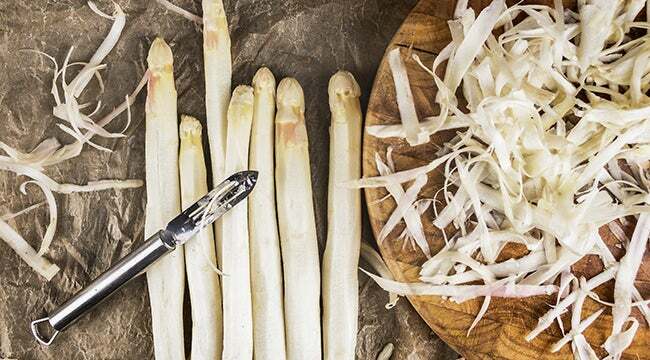 How can I choose the best white asparagus? Extra Spargel: The most expensive of the spears, they are the whitest, straightest, plumpest and thickest with tight flower heads. Handelsklasse I (HKI): About 1cm in diameter, these may be slightly curved and/or feature a slight purple tint. Handelsklasse II (HKII): These spears may be bent with opening flower heads, and an even darker shade of purple than the ones above. They may also be damaged and end up as a main ingredient for soup stock. 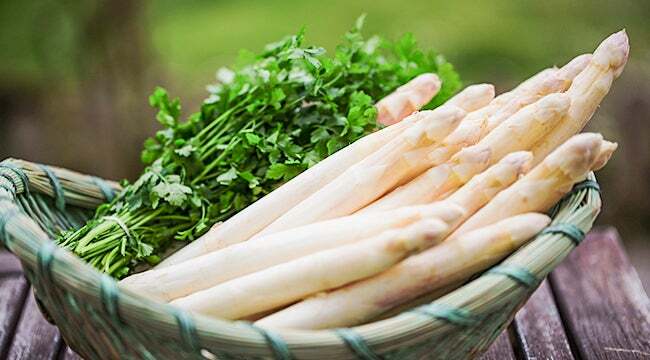 What are some common white asparagus dishes? We think white asparagus goes well with anything, but we especially like it with boiled potatoes and cured ham. A drizzling of Hollandaise sauce is also pure magic. Does it pair well with beer? Uh, duh. Everything pairs well with our authentic brews. 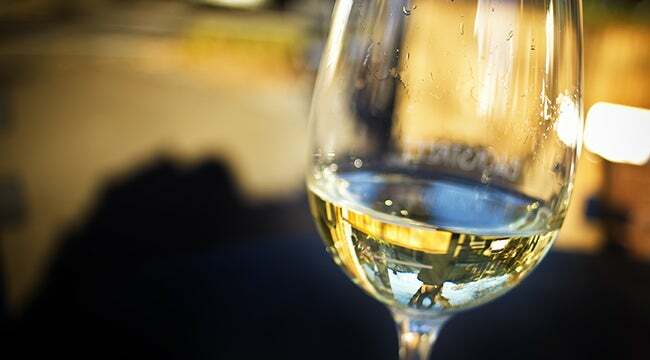 But depending on the dish many white asparagus aficionados enjoy it with a dry white wine like Pinot Blanc. 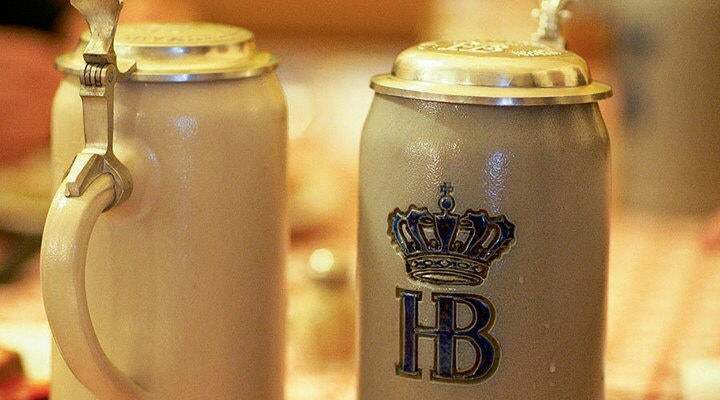 Hofbrauhaus Las Vegas may only serve this sought-after side dish on special occasions, but there are plenty of other ways to indulge in a piece of Bavaria.